Welcome to St. Michaels, Maryland! 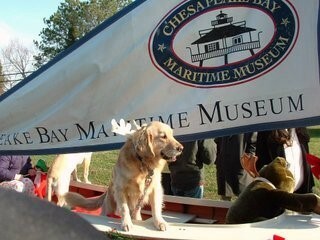 Welcome to St. Michaels, Maryland, one of USA Today's Top 10 Best Small Coastal Towns. Within a few hours drive of Washington D.C., Philadelphia and New Jersey, St. Michaels is a quaint historic town with a beautiful harbor, exceptional dining, amazing B&B's and Inns and one of a kind shopping. Join us in St. Michaels for an experience of a lifetime. WineFest, Running Festival, Oysterfest, Fall into St. Michaels and Christmas in St. Michaels are just a few of the wonderful festivals held throughout the year. Many of these festivals have been held for years and all feature the beauty of St. Michaels. Fine Art Galleries, Estate and Fine Jewelry, boutiques and high-end designers are all to be found while shopping in picturesque St. Michaels. Talbot Street and its charming storefronts, is home to many trendy retailers and purveyors of antiques and collectibles. 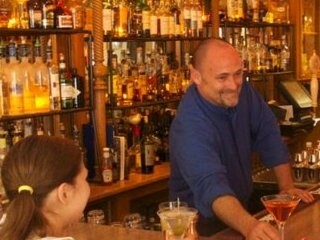 St. Michaels is a wonderful spot for a Foodie! Crab houses, in town & waterfront bars, winery, brewery and Zagat rated fine dining are all available in St. Michaels located either on the waterfront or in the ambiance of historic old homes. Running and kayaking trails winding in and around St. Michaels provide runners, bikers, kayakers and paddle boarders the beauty of the waterfront, the history of the old homes or the tranquility of old growth forests, all within St. Michaels. Whether you arrived in St. Michaels by boat or car, learning about the history of the town while experiencing St. Michaels from the water is a must do. 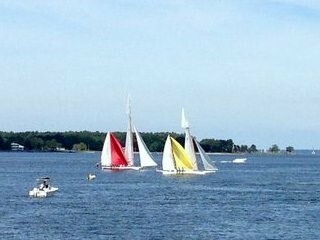 Take a ½ hour harbor tour, sail on an historic sailboat or a take 9 mile narrated historical cruise but don’t miss the Best of St. Michaels! Take advantage of the many opportunities to pamper yourself while in St. Michaels in one of the Spas for a massage, facial and/or body treatments for both men and women. Visit one of our Salons for personalized hair and nail services. 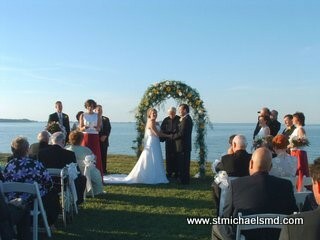 St. Michaels is a wonderful home for your Destination Wedding, Corporate Event or Family Reunion. Our facilities have the ambiance and services to make your event a once in a lifetime memory. Many Hotels, restaurants, retailers and even local banks all have amenities specific to dogs traveling with their owners, making St. Michaels a heavenly spot for mans best friend.